Wine is a wonderful and impressive gift, especially for those ‘hard to buy for’ loved ones. Or at least it should be… but what wine do you buy? How much should it cost? Which country should it come from and what style or colour should it be? Suddenly you are faced with a minefield of potential vinous faux pas and before you know it your head is spinning and you need to sit down for a calming glass of wine to evaluate the situation. Let us point you in the right direction and take some of the stress out of the decision making and ensure that your gift says the right thing. At Christmas time people gravitate towards the ‘classics’; the wines from famous regions that boast a long and distinguished history of making fine wine. (The often incomprehensible label on the classic wines makes them look all the more impressive and ensures that the recipient will be wowed by both your fine taste and generosity!) This trick might work on your less knowledgeable friends but what do you do about your wine loving father-in-law? Less easy to pull the wool over his eyes we imagine! The classics are classic for a reason, and though there are a few unscrupulous producers playing on the fame of their region to over-price the wines, there are those that still believe in the majesty and beauty of the wines they produce. Now isn’t it worth hunting out these gems to delight those you love, whether they are knowledgeable or not? The ultimate classic is of course Bordeaux, a region known for powerful yet elegant red wines that age beautifully to reveal a complex array of leather, cedar and tobacco notes mixed in with the dark cassis fruit. In this marginal region vintages are of paramount importance, a poor vintage can result in lean, mean, green wines, whereas a great Bordeaux vintage is one of the pinnacles of the fine wine world. 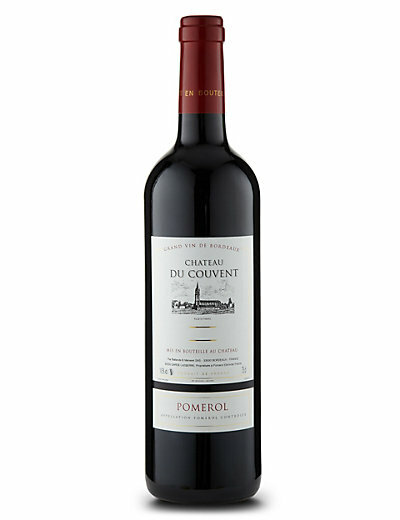 The Chateau du Couvent Pomerol 2010 from Bordeaux’s right bank is from a spectacular vintage that will greatly reward a decade of aging, though it is already a rich, dark, cedar and cassis laden treat if you lack the patience to wait. If excitement overtakes the recipient on Christmas day and they open the wine (I hope they are gallant enough to share it with you!) please advise them to decant it for about 4 hours before drinking. We thought this wine was easily worth £30.00 a bottle, but M&S are selling it for just £25.00 where it is available in cases of 6. That is either one generous gift, or 6 presents ticked off the list. Click here to buy. For the lover of opulent, rich reds then the famous Amarone wines of the Veneto in Northern Italy are perfect. The La Sogara Amarone Riserva 2010 not only comes in a beautiful gift-worthy wooden box but it is bursting with rich, ripe prunes, red plums and dates, mocha chocolate, spicy wild woodland fruit, leather and rich earthy undertones. It is a thoroughly indulgent and wonderfully holistic experience. We thought a wine of this calibre and richness was easily worth £25.00 (let alone the box), but it is a bargain at £22.99 from Aldi. Buy in store only while stocks last. For your sweet toothed loved one try the Pillitteri Vidal Ice Wine 2013 from Niagara Peninsula in Canada. Ice wine is produced in tiny amounts and is expensive to make. It is dependent on the cold arriving in time to completely freeze the healthy grapes on the vine, leaving many a winemaker with a soaring blood pressure as they wait for the big freeze to arrive before the rain and rot! When the frozen berries are crushed at the winery, the frozen water in the juice is scraped off leaving a gloriously sweet, concentrated juice. This is fermented into a magically pure and exotic sweet wine with green mango, honey, cardamom and honeyed apricots. It is a heavenly nectar! It comes in 37.5cl bottles which we thought would be worth £25, but Lidl will be selling it in a presentation box for an unbelievable £14.99! It will be in shops from 26th November so put it in your diary. Available in stores only. And finally the cherry on the Christmas cake is of course the wonderfully English tradition of Stilton and port. Port comes in many styles, the most prestigious being Vintage port and aged Tawny port. Vintage port requires a couple of decades aging in bottle before it really comes into its own, whereas Tawny port arrives pre-aged and ready to rock. 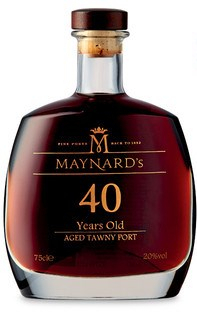 So if you have an inkling that your loved one might lack the patience to age the port, give them a bottle of the beautiful Maynard’s 40 year old Tawny Port. It is aged for minimum of 40 years in oak barrels allowing the wine to oxidise into a plethora of fabulous flavours. The sweet, silky palate brings forward smoky peat, walnuts and espresso coffee wrapped around a citrus freshness that lasts long into the finish. In this spectacular bottle it makes an eye catching and rewarding gift. We thought it was worth £30.00 and Aldi are charging £29.99, it is a wine worth every penny. Buy in store only while stocks last.